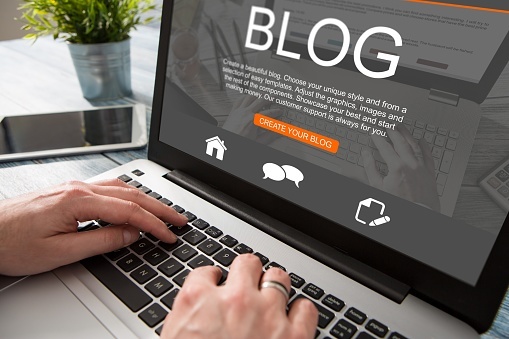 Many people fail to realize just how important blogs are to a successful business because they still think about what blogs used to be. In the early days of the internet, many blogs were essentially “live journals.” If you wanted to read about what a trendy high school girl was having for lunch with her friends, she probably had a Blogspot blog that would let you do just that. But today, blogging has become much more powerful and is one of the best ways to connect with your target audience. It’s been said that an incredible 79% of shoppers spend half of their shopping time researching products on the internet. While it’s true that product pages, technical specifications sheets, and other resources are important, users are also gravitating towards something much more human and valuable – blogs. Think about the things that the right blog allows you to accomplish. First, it lets you dive deeper into certain topics, products, and services more than you ever could on a traditional product page. Blogging is also a great way to position yourself as a thought leader in your industry, regardless of what that industry happens to be. It’s a chance for you to show that you really can walk the walk in addition to talking the talk, which ultimately helps build brand loyalty over the long-term. According to The West Program, 77% of all internet users said that they actively read blogs on a regular basis. Worldwide, an estimated 346 million people read blogs. The fact that your website has one allows you to attract as many of these people as possible. Most importantly, a whopping 61% of all online consumers in the United States said that they had made at least one purchase based on information they read on a blog. Remember, your blog is not a silo. The content that begins on your blog will ultimately make its way across social media as your users begin to share it, thus bringing more people back to your website over time. Blogging can also help tremendously with SEO and search engine visibility. One of the factors that Google’s algorithm looks for when determining rankings comes down to how often a website is updated. If you publish one high-quality piece of content to your site every day, guess what? That counts. Nobody is saying that blogging is the ONLY technique you should be using to connect with your audience. In truth, your long-term success will come down to you employing as many techniques as you can in order to further your quest of reaching the right people at the right point in their purchasing journey. This entry was posted in Uncategorized by PrintStarNow. Bookmark the permalink.